If you would like to get a free 10 day trial of Tactical Arbitrage, you can do so right here (use code FBAMaster10). If you are just getting started with Tactical Arbitrage or if you are a seasoned professional, most people use it in the same ways. But with all this talk of saturation and the race to the bottom with online arbitrage, you have to start thinking outside of the box in order to outwit, outsmart, and outlast the other sellers (yes that was a quote from Survivor – I heard a little rumor that Alex Moss, creator of Tactical Arbitrage, used to work on the set of Survivor). Run searches while you sleep. Using the bulk list feature, you can literally have Tactical Arbitrage running searches while you are counting sheep or are away for the weekend. TA will actually run for 48 hours straight if you really want to load up your list of links and search every inch of e-commerce possible. Search for Retail Arbitrage opportunities. 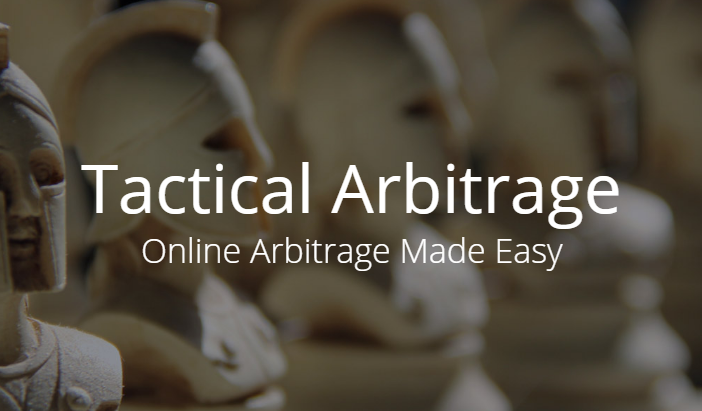 If you are really smart, you take an incredible tool for online arbitrage such as Tactical Arbitrage and use it for retail arbitrage. Yes. You read that correctly. Turn on the “out of stock” search at the store level and spot items that are out of stock online but might be available in the store. Make yourself a shopping list and go to town (literally – go to town and into a store). Use the Library Search feature to spot Zen Arbitrage opportunities (this is where you buy a book from a third party seller who is merchant fulfilling the item and then sell the same book at a higher price via Amazon FBA). There are some people who pay a monthly subscription to Peter Valley’s Zen Arbitrage tool, but Tactical Arbitrage can do that and even more. Take the Library Search feature one step further and use it to help spot textbook trade-in opportunities. This can mirror the same capabilities as $997 software such as Textbook Money, but it can actually automate the process and allow you to do it while you sleep! Find better deals on your replen items. With the Reverse Search feature, you can search for your best items and see if there are better stores to purchase from in the future. Think of it like Walmart’s Savings Catcher, but even better. Stack coupon codes, gift cards, and cash back sites. If you guys have followed me for any length of time, you know that I love this method and recommend it to everyone I teach! If you stack coupon codes, gift cards, and cash back sites, you can see deals that most would gloss right over. Train a VA to use it. If you work a full time job like me, sometimes it is beneficial to hire a virtual assistant to actually run the searches for you. Imagine a small army of people search all over the internet to find you the best deals on the market (day in and day out). Search stores that only you know about. If you are a tech wizard (or know how to hire one), you can literally use Tactical Arbitrage to scan sites that aren’t even added to the software yet. It involves something called Xpaths (I don’t know a ton about, but my guy on Upwork does) and it can give you just the competitive advantage you are looking for. Use it to find Amazon to Amazon flips (and lots of them). If you have a thing for those Amazon to Amazon flips, your jaw will hit the floor when you see the Amazon flip feature that comes with Tactical Arbitrage. The filters you can create are perfect for those of us that flip AZ to AZ on a daily basis! Expand to the UK marketplace. If you want to really set yourself apart, you can start searching on numerous UK sites and start flipping items across the pond. This is something that most people will never consider and is perfect for those of us who have a little extra motivation than the typical Amazon seller. Run wholesale lists thought the system. Don’t waste time to individually look through a product list from a wholesaler. Simply upload the UPC codes to TA (via their CSV function) and let TA do the rest of the work (while you sleep or have an ice cold beer). Find products to take to market. Instead of focusing on all of the matches, you could leverage the “no matches found” filter and essentially build yourself a list of items that have never been on the Amazon marketplace. Talk about awesome. Identify hot items during Q4. If you can write yourself a nice little filter on the Amazon flips tab, you can actually search only for those items that go out of stock during a certain time period and go up in price during that period. Catch my drift? Dig through mismatches. If you like a challenge (and who doesn’t) you can find some great product leads that are commonly overlooked and save some money on your subscription (or win some awesome prices) by experimenting with the ‘mismatches’ tab. Take an OA list and run it through 400+ sites. This is an awesome feature that can blow your socks off if done correctly. You can take your OA list that you purchase (which you can get at gumroad.com/fbam) and run it through the reverse product search feature of Tactical Arbitrage. Boom baby. Use it for personal shopping. With the Reserve Search feature, you can search for a product across all of the sites that Tactical Arbitrage has indexed in the software and find the best deal possible for your personal shopping needs. This makes Christmas shopping a breeze and you can always be positive that you are getting the best deal. Analyze variations of products. Too many times we see a good deal on one size or color, but don’t really know about the rest of the variations. I love to use the variation tab at the top to dive into all of the different colors, sizes, and shapes imaginable and compare them to a certain price point. Come up with your own unique way to use it. Don’t be limited to this list. Take one of the ways listed above, turn it on its head, and create your own amazing sourcing technique. As you can see, the only limit to your success is yourself. Push yourself to think outside of the box and do what no one else is willing to do. That is where the real money is.